I can remember as a boy watching the television game show is “To Tell The Truth” when the weather was nasty and we couldn’t play outside. The show originated in 1956 and has been produced off and on ever since, including running in syndication. The premise of the show was that three contestants all claimed to be same individual who had some unique distinctive profession, hobby or experience. One of the contestants was the individual. A panel questions the three contestants to try to determine who is “telling the truth” and who is making it up. The contestant won if they could fool some members of the panel. 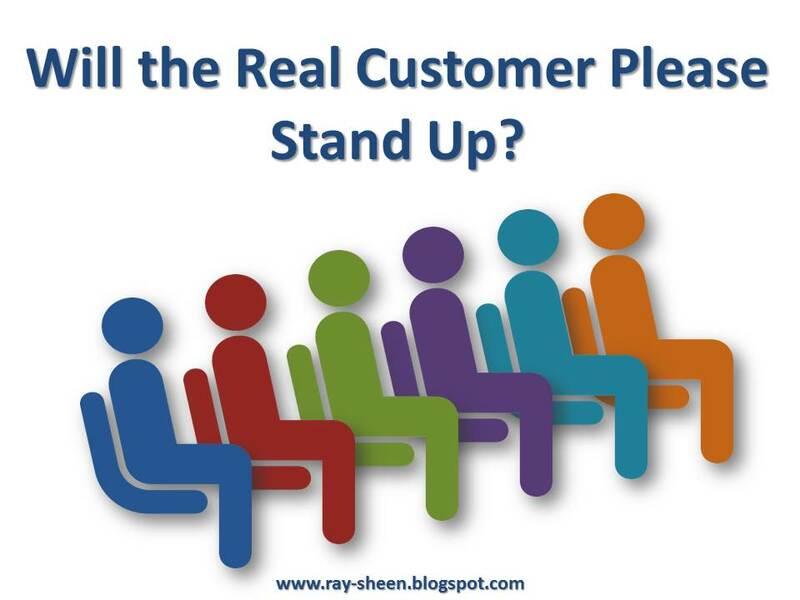 This leads us to the fundamental question of how to determine the real customer. Is it the person who purchases the product or service? Is the person who uses the product or service? Is it the person who is advising the purchaser? Is it the person who provides the money that pays for the product or service? Is it the user’s customer who receives benefit because of how the user employs the product or service? Granted sometimes the answer to those questions may be the same individual, but many times it is not. Unfortunately the answer is, “All of the above.” Which means that understanding customer needs and providing customer value can become confusing and complex. This is one of the reasons why so many companies don’t even bother. Instead they have the marketing organization create a “value proposition,” push the product out to the market, and see what happens. Quick customer feedback. Assuming you get customers, you need a mechanism to get feedback from your initial customers. This is usually through direct contact by your sales or marketing departments. You need more than just a “Like” on Facebook. You need to understand why they bought your product or service, how they used it, and the result. Knowing this will allow you to understand whether the product or service is creating value for your customers. This will inform both your updated marketing and your product development iterations. Investigate the “no-sales.” To the extent possible, find out why people did not select the product. If they viewed the website or visited the store, ask them. If they never heard about the product, find the communication barrier. Knowing why a customer does not buy is just as important as knowing why a customer does but a product. Again, it will inform both you updated marketing and your product upgrade iterations. Rapid product change. The likelihood that the product or service you offer will exactly hit the market is low. There are just too many unknowns. So you need to be able to quickly modify the product or service to respond to the market feedback. This has implications for both the product design and your product development process. Your product should be modularized to allow for rapid redesign of selected modules. In addition, you probably need to be using one of the Agile product development methodologies. Tailor the value proposition. Once you find out what is working, you can tailor your message and your marketing to better fit a target audience. Customer testimonies are examples of the use of the product are always great advertising. In addition, you can select your market channels that best reach the market segment you are now going after. A clearer message of the product or service value and a more focused marketing channel should lead to more potential customer understanding the value, which will drive sales. Be prepared for success or failure. The last point is to be prepared for both success and failure. Success can lead to a quick spike in demand. While that is great, it requires capacity to meet the demand. Have a plan for how you would add capacity. Don’t cut corners when you add capacity. Otherwise you may create a quality problem which leads to a quick loss of customers and creates a negative impression in the market about your product or service. Of course, if the demand doesn’t materialize, you need to repurpose your capacity. Set some clear thresholds at the time of market introduction that will indicate the need to add capacity or cut production and sales. Set those while everyone is still thinking looking at the situation from a logical perspective, once you are into the day-to-day management, it is hard to remain unemotional about those decisions. Following these principles can help you find and focus on your target market. It will probably take one or two iterations, but soon the “real customer” will become clear. Mark Twain once said, “Clothes make the man. Naked people have little or no influence on society.” The underlying truth to this statement is that those who are acting in a manner that is well outside the societal norms, especially if they are engaging in what is viewed as outlandish or impractical behaviors, are not taken seriously. They are not able to influence their surroundings. So why did I bring this up? There is an application of this principle in business settings. If you don’t understand your company’s business model and how your company intends to implement the business strategy, you won’t be taken seriously. If you are viewed as irrelevant or a flake, you won't be taken seriously. 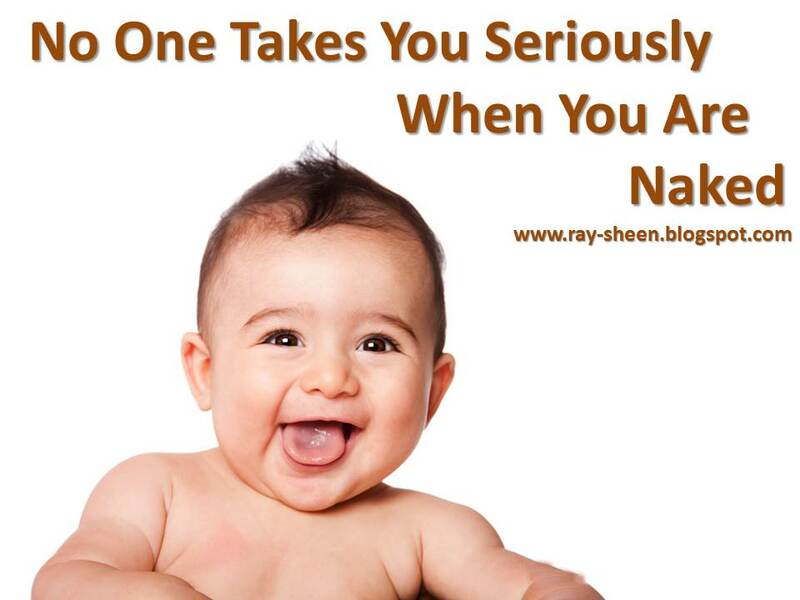 You are essentially naked in your business environment. People may tolerate you and find you amusing, just like we used to laugh at the people who would “streak” at sporting events or concerts. No one really took them seriously, and no one will take you seriously either. Become familiar with what is happening in the company. Read the company newsletter. Follow the company on social media. Keep track of the company press releases and shareholder reports. It is not enough to just know your department or your division of your company, you should be aware of the major issues and initiatives in your company. A great way to do this is to join one of the corporate communities of interest. Sometimes these are formal and sometimes they are informal. Regardless, make friends and get involved with others in the company so that you will be aware of what is currently important and why. Become familiar with what is happening in your industry. You were hired for your technical expertise that was learned in college. But now you must apply that expertise in the business setting to be successful. You need to know what is happening in your industry so that you are prepared to do that. You may be an IT person, or an HR person, or an engineer. If you are in IT, what are the trends in the use of information technology in your industry? If you are in HR, what are the hiring, staffing, and retention issues that your industry faces? If you are an engineer, how is product or process technology changing the nature of competition in your industry? To be relevant and influential, you need to know what is happening. Become known for an aspect of professional competence related to your work. You don’t have to be an expert in everything, but to be taken seriously you need to be viewed as an expert in something. You want to become a “go to” person on a topic that is important to the business. This means that you will be specifically sought out and included in key discussions and decisions. Once you have a seat at the table, your voice will begin to count on more and more topics. Developing this expertise will take some time. You may need to read books or attend conferences. Look around your business for an area of business concern where the organization is currently weak. Focus on that area and become the expert. Your work to become familiar with your company and the industry should help you pick an appropriate area of focus. The final point was to demonstrate a mature and caring personality for their co-workers. Work isn’t a beauty pageant, but if it were, their goal should be to win the award for “Miss Congeniality.” You want to develop a reputation as someone who is encouraging and supportive of others. Not a reputation of being “snarky,” rude, and off-color. I don’t mean that you pretend everything is always wonderful when it isn’t. But when things are difficult and people are discouraged, you keep a positive attitude and work to make things better. The rest of the organization will see you in the role of a problem-solver, not a problem-maker. This is the hardest attribute to teach. That is because it is less about knowledge and more about attitude and habits. However, habits can be changed through practice. That is why athletes spend so much time in practice, so that their body will respond to the challenges of the game or meet out of habit. Use whatever reminder system works for you to think about your attitude and practice developing a positive and encouraging way of interacting with others at work. I was reviewing the successful and unsuccessful business ventures I have been involved with over the last few years. One of the things that struck me was the element of trust that was a necessary ingredient for successful business. Where trust was present up and down the value chain, the business was successful for all parties. Whenever trust was missing or broke down, at any point, the business dropped off or never materialized. Let me give you a few examples. One of my newer clients came about because a friend from many years, who is in a C-level position at a large organization, recognized a need in his organization and called me. Within a few weeks I was onsite providing assistance with a pressing problem and the solution has had an immediate positive impact in their operation. In another case, a long standing client had an immediate need due to personnel changes. A few phone calls and my work with that client increased significantly. The good news for the customer was that there was no interruption in their ability to offer their products and services. Trust created successful business relations in both cases. By the same token, I recently lost an account when a new person came on board at the client. I did not have a relationship with the new individual. After several misunderstood emails and a bad teleconference, I lost the client. (The fault was primarily on my part – I assumed a relationship existed because of my previous work when it didn’t.) Another example was a start-up client that I have worked with for years. The company is still trying to land their first big account. One of the difficulties is that the product/service they have developed integrates aspects of sales, operations, marketing, and finance into a single system. Although they are often able to find an advocate in one of those departments within a possible customer, they haven’t been able to find an advocate in all the departments. The typical organizational silos create a barrier between departments. The result is they have not been able to gain the trust from all departments and one of the departments will veto the project. (Interestingly, it has been different departments in different companies.) Lack of trust destroyed business opportunities. The point to be noted is that where trust exists, business transactions were accelerated and value was created for both the customer and seller. Where there is lack of trust, transactions are stalled. So how do we build trust in our business relationships? How do we especially build trust in relationships with customers? There are three trust enablers. When these three are strong, trust will grow. When one is missing, there will be an element of mistrust on the part of the customer that often slows the transactions. When two are missing, you can forget about doing business with that customer. The first enabler is the efficacy of the product or service. Does it work? Does it work consistently? Does it work in the manner that the customer expected it to work? This is often referred to as the product value. Customers seek out products or services because of this value. However, this type of value is seldom a competitive advantage. There are other potential sellers who can offer a similar product or service. The absence of efficacy will destroy trust. If the product does not work the way the customer thinks it should work, the customer will likely feel cheated. So to enable trust and create value, the product/service must work. The second enabler is the reputation of the company, often referred to as brand value. In the mind of the customer, some brands are desirable, others are to be avoided. And in many cases, they have no opinion about the brand, until they check references. A company’s reputation can open customer’s doors or close customer’s doors. This is so serious that there are entities like Better Business Bureaus who exist to report on the reputation of companies. My most recent two clients found me, rather than me finding them. They contacted me because of my products/services and reputation. Those two items were trust enablers. They demonstrated value to the customer. But to actually close the deal, we needed the third enabler. The third enabler is relationship. As much as we might wish that businesses make decisions strictly upon the cost versus benefit of a product/service or the historical experience with a supplier, the reality is that relationships matter. It is still people who are making the decisions. That is why you do business with your brother-in-law or college roommate; even though they might not have the best product on the market. Most customers want to look a potential seller in the eye or speak with them over the phone. People like to feel special. They appreciate it when a supplier greets them by name or shares a common interest. It creates a special bond that builds trust. Relationships are often initially based upon first impressions. Everyone carries around in their head stereotypes or caricatures of people. These could be based upon age, gender, race, religion, origin or any of a hundred other factors. These will immediately create bonds of trust or barriers of mistrust with individual they just met. If an individual fits a positive stereotype, a relationship bond can often be quickly established. Negative stereotypes can be overcome, but that will take time to develop a personal relationship. So let’s recap. We create value for our customers and companies when a transaction occurs. A transaction is much more likely to occur if the customer trusts the seller. In order to establish trust, a seller needs a product/service that works, a positive business reputation, and a relationship bond with individuals within the customer’s organization. 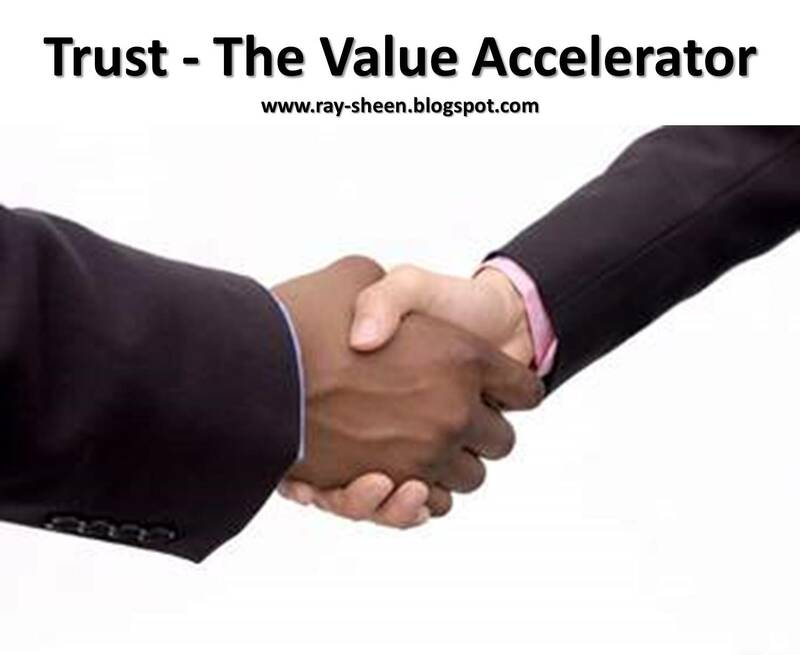 If you are a seller wanting to accelerate your business and create value for customers and your company, you must focus on the three trust enablers. One of the latest techniques in project management is to use a Kanban approach to project scheduling. Those advocating for this scheduling tool highlight the characteristics of blending resource allocation with schedule and scope management. Some even go so far as to say that it is more than a tool; it is a brand new methodology. Let’s look at it in more detail. This approach is often tied to Agile methodologies, but it has actually been around far longer. I was using a modified Kanban project scheduling tool in the 1980’s. The tool shows the relationship between scope schedule and resources. Like the Gantt chart, it is very effective for managing the day-to-day status and tracking. And also, like the Gantt chart, it is a tool that can be used with many different project management methodologies. This tool works best for those projects where many different deliverables go through similar steps or activities. The Kanban schedule is set up as a matrix. The vertical side of the matrix is the list of project deliverables. The horizontal side is the steps or activities in the project. Normally, at the top of the matrix, the level of resources available for each step is listed either in terms of the number of individuals or the number of deliverables that can be actively worked at one time. See the diagram below. Kanban scheduling relies on two important principles. The first is that it is “pull” scheduling, not “push” scheduling. This means that a deliverable does not move to the next step until there is a resource available to work on it. As soon as the resource completes a deliverable, it pulls the next deliverable from the preceding step. That way a step does not become glutted with many deliverables all hung up at a bottleneck. The second principle is that it is a “visual” scheduling tool. The “pull” indicator is visual and the status of how many items being worked on at one time is also visual on the matrix. In addition, I normally will change the cell color of the deliverable and the step to show what is being worked on and what is completed. Visual control normally leads to improved project team communication because it is simple to understand. There are two weaknesses with using Kanban scheduling. The first is that it is difficult to translate the schedule to a calendar. The Kanban schedule is a matrix. Often the matrix will have dates for each step of each deliverable, but it is difficult to take a table of dates and picture what is happening on a calendar. That is why I normally will also use a calendar-based Milestone chart when using a Kanban schedule. The second weakness is that it is very difficult to track inter-relationships between deliverables. If the deliverables are separable that is not a problem. If there are numerous points of interaction between deliverables, the ability to pull can be confused. In that case, the network diagram is a better scheduling tool because it shows those relationships and allows the project team to calculate a critical path. 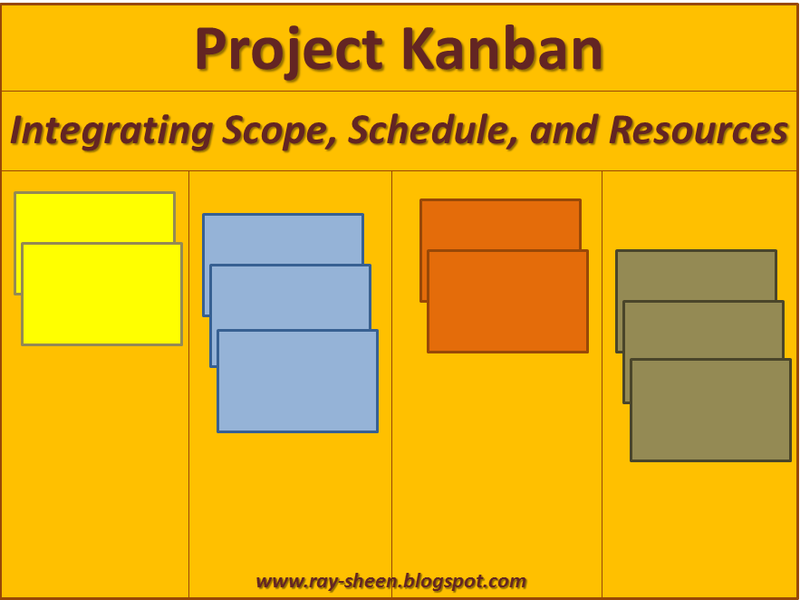 So let’s talk through how a project plan would be represented using a Kanban schedule. First create the list of deliverables – this is usually derived from the scope statement or project contract. Then determine the categories of activities that must be accomplished on each of the deliverables. This is the same type of activity you would do when developing a work breakdown structure. With these two pieces you can build the matrix. Next, determine the resources capacity you have for each activity type. Finally, estimate the amount of time required for each deliverable and estimate the dates when each activity will end for each deliverable. Place that date in the appropriate cell of the matrix. See the diagram below. The Kanban tool is an excellent tool for managing day-to-day project activities. Thanks to the visual control aspect, it is easy to see what is underway, what is complete, and what is coming up next. Because I use cell colors to indicate activity status, the current project status is easy to see. Also, problem deliverables or problem steps will quickly “jump out” from a review of the matrix. In the diagram below it, the present date is July 25. It is easy to see that Deliverable #7 is behind schedule. This is a major issue on the project and should be receiving the project manager’s focused attention. In addition, the “Update/Debug” step is becoming a bottleneck. There are five deliverables that could in process at that step, #3, #4, #6, #10, and #11. However, the capacity is only to work on three, so deliverables #4 and #11 are not being worked on by anyone at this time. So far it is not a major bottleneck, but deliverables #2, #8, #12, and #13 are in work in the previous activity and could be turned over to the update/debug queue soon. 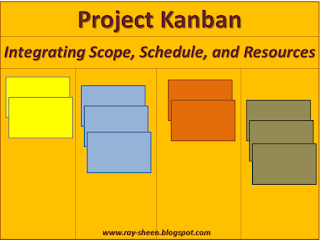 The Kanban schedule tool can be very useful for some types of projects. It combines scope, schedule and resources into one easy to read visual display. If this tool is not currently in your project management toolbox, you should consider adding it. When bringing a large ship up a river into a harbor, the captain and pilot must be careful that they don’t run aground. There is a channel of deep water that they must follow. By staying in the channel they avoid hazards such as rocks, reefs and sand bars. There are often navigational beacons and buoys marking the channel to assist the captain and pilot. If there are no navigational beacons, the captain must find a local experienced pilot, or proceed very slowly, taking soundings all along the way. The local experienced pilot can still bring the ship safely into harbor because he or she knows the path of the channel and can tell where the safe path is by other landmarks. The slow approach and soundings will tell the captain of dangers and allow the ship to maneuver to avoid them. 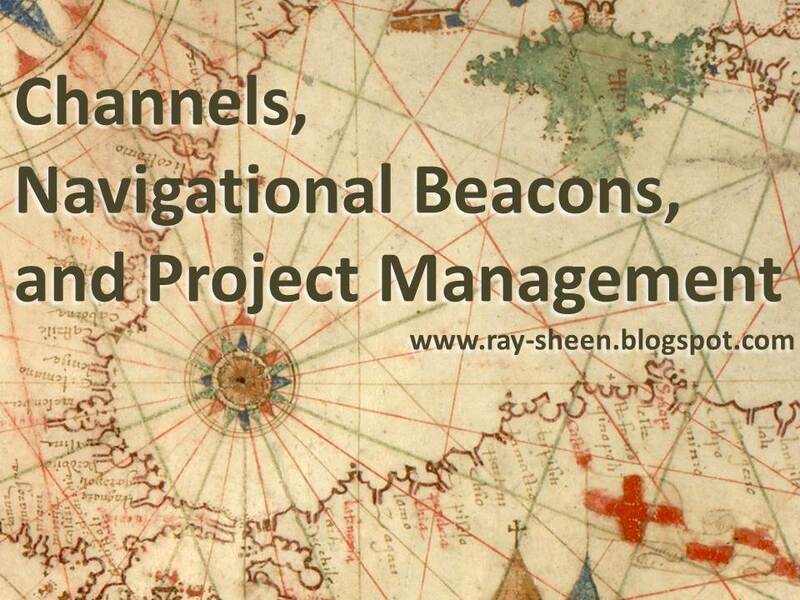 You are probably thinking, “What does this have to do with project management?” Well, channels and navigational beacons are great metaphors for some important project management principles. Every project is different, yet every project has some similarities. Each project has a start and an end point. There is an optimal path the project should follow for achieving the lowest cost or fastest time. Depending upon the company and the project type, that path is unique. Often when starting off on the project “voyage,” the water looks calm and smooth, but there are reefs, shoals, and shallow water that can cause the project to run aground. The project manager, just like a captain or ship’s pilot, must navigate through the hazards and bring the project safely to its end point. To assist the project manager, many times an organization will create a project management methodology with templates, checklists, and reviews that are used to “chart” the path the project should follow. The methodology defines a channel that has been determined to be the best path to navigate the risks and dangers of the project. 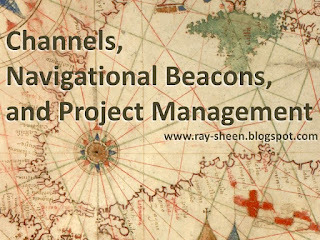 The reviews, checklists and templates are the navigational beacons and buoys that are used by the project managers to guide them through the channel. The channel is still likely to have some sharp turns and dangerous eddies, but the templates, checklists, and reviews are there to guide the project manager through these dangers. Without pushing the metaphor too far, we can see some of the problems and challenges that project managers and organizations face by considering some of the challenges associated with channels and navigational aids. One problem is that the channel will often change over time. Storms can shift sand bars and a channel can quickly be blocked. In fact there may not be a navigable channel following a storm. Within companies, re-organizations or new initiatives and systems can change how work is done. The original channel may no longer exist and a new channel must be found or dredged. Another problem is that the channel fills up with mud and sand over time so that it is no longer deep enough for the ships to come in. When that occurs, the channel must be dredged to clean it out. Within a company, a project management methodology often becomes cluttered over time. A Lesson Learned on one project adds a new checklist or template. The new checklist is added, but the old ineffective checklist is not removed. A new management team wants to do project reviews in a different manner than before. The new reviews are added, but the old reviews are not removed. The organization needs to periodically review the “channel” in the project management methodology to ensure that it does not get cluttered up with unneeded or ineffective templates, checklists and reviews. A third problem is the use of the beacons. Small boats can often scoot around the beacons and maneuver outside the channel because they have a very shallow draft. As the captains of those boats are promoted to larger ships with deeper drafts, they can no longer safely navigate outside the channel. Within companies, small projects can often be successful even though they did not use some of the templates, checklists and reviews because their scope or team is so small. However, when these project managers are promoted to the large projects, that same behavior can lead to disaster. The larger the project the more important it is to use the full project management methodology. A fourth problem is that the captain and pilot must be able to see the navigational aids and understand what they mean. This requires training. In a river or harbor, the color, shape, and number of the navigational aid has a distinct meaning. Within project management, checklists, templates and reviews also serve a distinct purpose. Using the wrong checklist at the wrong time in a project can lead to bad decisions that create project disasters. Project managers, project sponsors and key project team members need to learn the methodology. 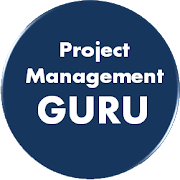 Project management methodology training, tools and technique training, and periodic performance reviews are needed to ensure that project managers are effectively working with the project management methodology. Whether your project is best represented by a super tanker, a catamaran yacht, or a two-person dingy, it is still important to know the channel and to understand the navigational beacons. Using them appropriately will enable you to bring your project safely into the harbor.